What a perfect quilt for the family. Baby is so cute. No such thing as too many cute baby pictures. What a darling little quilt and Just the cutest little one! 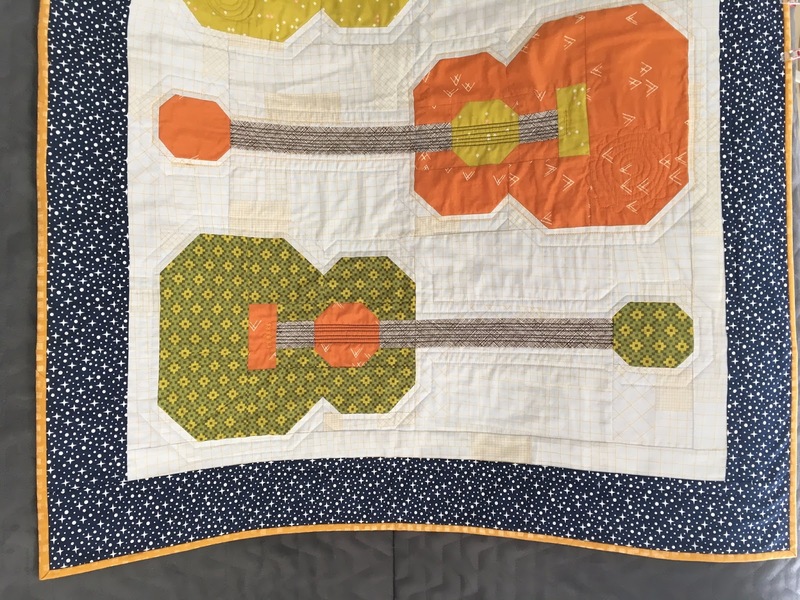 Your quilt is beautiful and love how you appliqued the guitar strings. Your little niece is so adorable! Ada is indeed a beautiful baby! I suppose I should go back and look at the quilt! LOL! 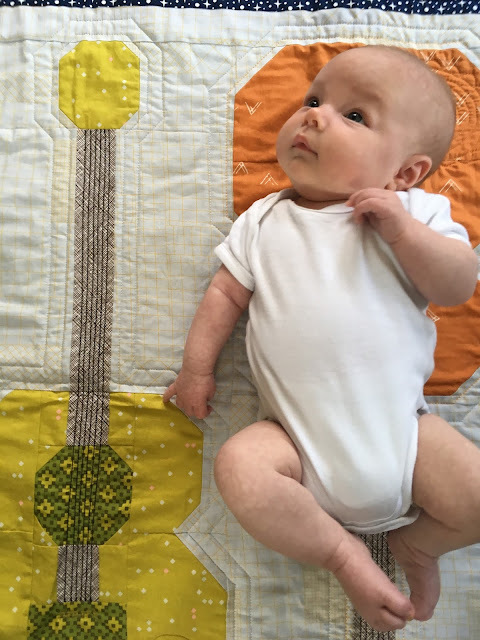 No, the quilt is lovely too! 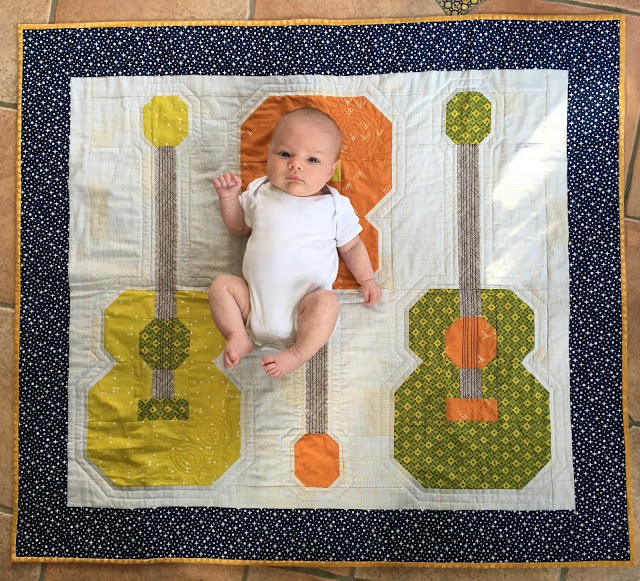 Sometimes its nice to make a baby quilt, just because.... But having an excuse of an new niece is the perfect reason! Lovely finish Lucy! I love the quilt but the baby is fabulous! 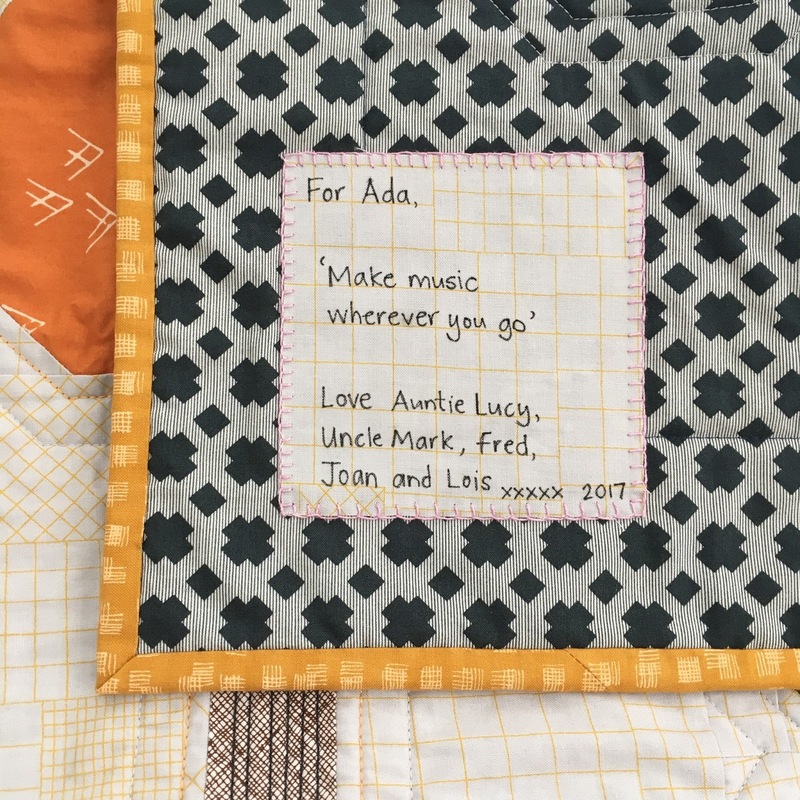 AWESOME quilt for a music-loving family!! 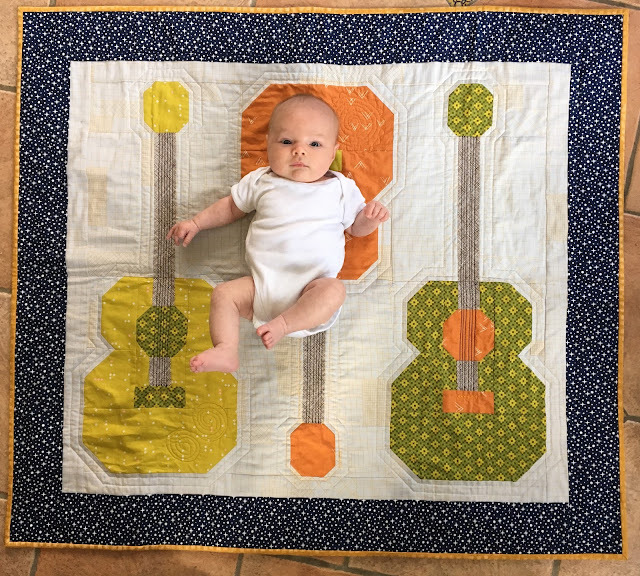 Oh Lucy what a great quilt and what an adorable baby!! I am sure this will be treasured for years to come. She is beautiful! 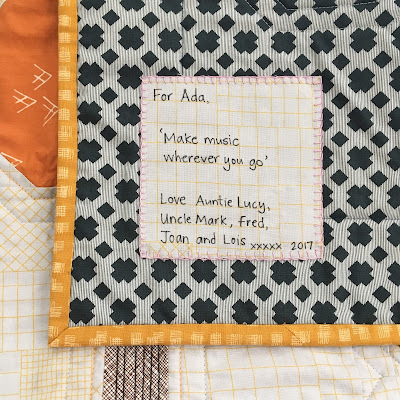 The quilt is nice too and I really love your label! Pretty quilt and sweet pics! Both beautiful, the baby and your quilt!! Congratulations indeed. 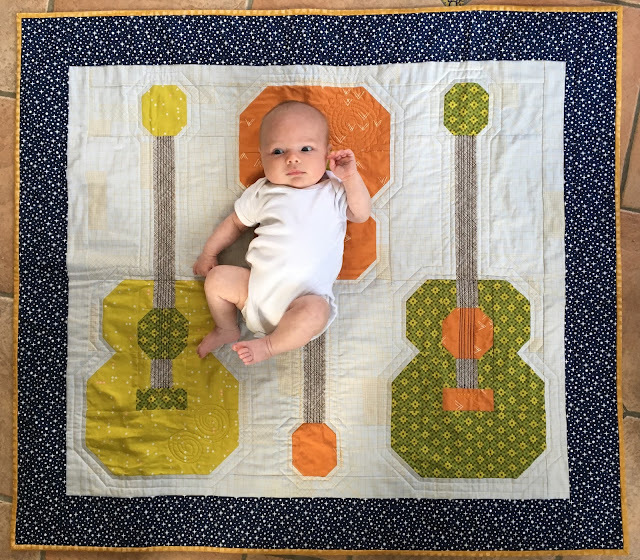 What a fun quilt that will grow with the baby. And she is adorable. Catching up a bit late here . 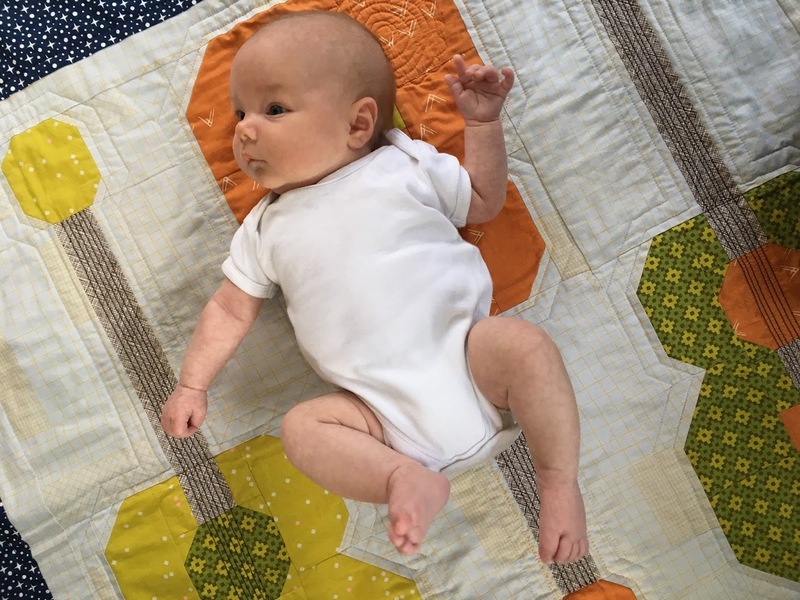 Love the quilt and gorgeous baby . Just as an aside , m&s have s bottle of wine (in their £10 deal offer) which has burnt orange guitar in the label . The perfect match !